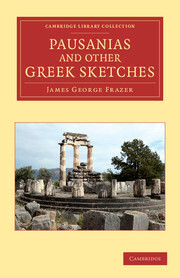 Sir James Frazer (1854–1941) is best remembered today for The Golden Bough, widely considered to be one of the most important early texts in the fields of psychology and anthropology. 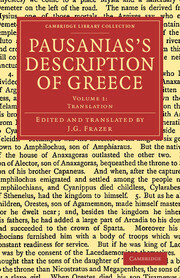 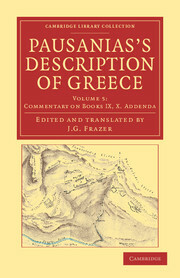 Originally a classical scholar, whose entire working life was spent at Trinity College, Cambridge, Frazer also produced this translation of and commentary on the works of Pausanias, the second-century CE traveller and antiquarian whose many references to myths and legends provided him with material for his great study of religion. 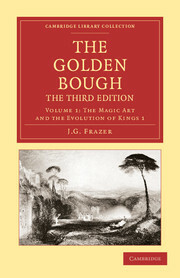 The six-volume work was published in 1898, after the first edition of The Golden Bough (also reissued in this series), and while Frazer was working on material for the second. 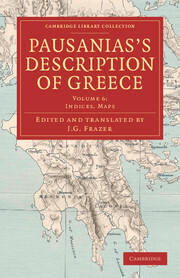 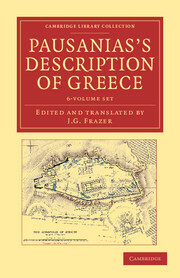 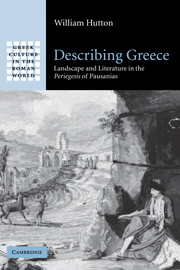 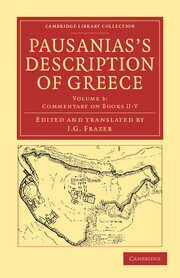 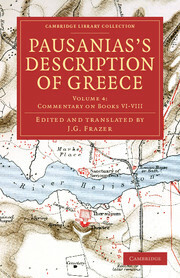 Volume 1 contains a preface, in which Frazer states his intention to provide 'a faithful and idiomatic rendering of Pausanias', his translation of the entire work, and notes on the text.